Hypertufa garden art objects are absolutely incredible, regardless of the specific piece you are talking about. These pieces offer unique, considerable aesthetic charm. They can also be used to create a stunning impression with just about any space you can imagine. People love these pieces, by many individuals feel as though they just can’t create such items on their own. They feel that they just aren’t handy or creative enough. Let’s put a stop to such thoughts right now. 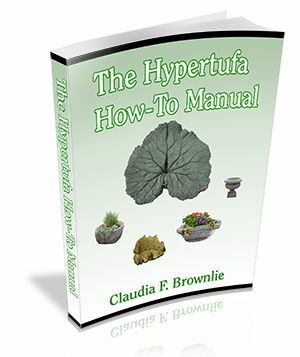 With the Hypertufa How-To Manual, you are going to be in complete control of what you learn, and what you ultimately decide to do with that knowledge. In hardly any time at all, you are going to be able to create breathtaking pieces that are sure to be a huge hit with anyone who happens to see them. Again, as we mentioned before, you aren’t going to have to become an expert. You will simply follow everything this guide is going to break down for you. Don’t worry about a steep learning curve. This guide has been designed with newcomers in mind most of all. Even if you have never worked with a hypertufa project in the past, you are going to have the ability to benefit from everything this program has to offer. With this guide in your hands, there will be few limits to what you can accomplish. You will learn how to avoid the most common hypertufa mistakes. You will learn how to make sure you are maintaining good safety practices at all times. Learn about the best releasing agent, while also taking the time to understand the considerable importance of proper curling. You will have everything you are ever going to need to create one extraordinary piece after another. This is a perfect hobby for anyone who truly enjoys the chance to create with their hands.